Suki's appearance may not suggest it but this dog is a snuggler! She is shy at first but if you get down on the floor with her she tucks her head up under your arm and gives doggy hugs. Once she gets to know you she perks up and is interested in engaging with you and the world around her. Her inner beauty already shines through though. She's affectionate and patient, and wants to be loved. Suki is almost completely housebroken. On the leash she pulls slightly and doesn't yet know her commands but she is willing to learn. 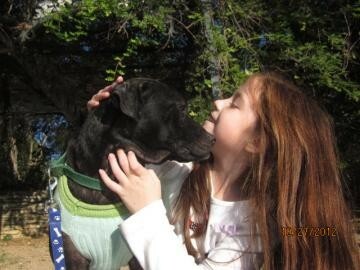 Although she's not a fan of cats, she gets along great with dogs and kids. Suki is a great girl who is patiently waiting to be noticed, to be a cherished member of her new family. She'll return your trust and loyalty 100% if you give her the opportunity! 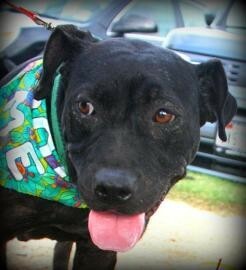 Suki was taken off of the euthanasia list, so if you adopt her, you are saving not only her, but also the next dog Austin Pets Alive! can save in her place!